1.When did you join Mountain CrossFit? I joined RMSDF in March of 2016. I chose Crossfit because I had tried other methods of working out such as weightlifting, running, or going to a big gym by myself. I found that when I was by myself, I didn’t push hard enough and other forms of exercise took up a large portion of my day. Crossfit encompasses both weightlifting and cardio in a short amount of time so it really was conducive to my lifestyle. What advice would you give to someone with regards to starting CrossFit? Well first – try it! I feel like it has changed my life for the better in so many ways. I think the best advice is to start slow. I came from an athletic background from playing competitive sports in college so I thought I could do everything from the get-go. I learned that form is so important and if that means going slow, then that’s where you should start. It may only look like a 15 minute workout, but it can be extremely challenging or technical. Even after two years, I’ve learned which days I need to scale back to my fitness level and other days where I can perform harder movements. What is your favorite CrossFit exercise/workout? My favorite exercise is usually anything leg dominant – mostly front squats, back squats, or squat cleans (definitely not overhead squats…). What is your favorite activity outside of CrossFit? My favorite activity outside of Crossfit is hiking with my dog and boyfriend. I try to hike at least once a week during warm weather – the winter makes it a little more challenging! What is your proudest accomplishment at CrossFit? I think my proudest accomplishment is my pull-up progression. When I started at RMSDF, I couldn’t do any unassisted pull-ups for almost 6 months. I would always complete my workouts with bands or jumping pull-ups. I can now complete multiple kipping pull-ups in a row and have easily completed at least 100 in one workout without assistance (thank you Murph!). I think I eat healthier than before I started Crossfit, but I have always tried to maintain a good diet. I don’t limit myself to anything, so I think I can do better, but I am happy without the limitations and know when to keep myself in check with snacks or unhealthy items. My boyfriend is a strength and conditioning coach so I think his healthy diet rubbed off on me years ago! I think most people would be surprised to know that I am currently in the police academy for a local police department. Only a few close friends and gym friends currently know that I am preparing for a career in law enforcement. I am so excited and extremely proud that I get to serve the community that I live in and also go to the gym in. I think Crossfit has benefited me immensely while being in the academy because it has made me stronger physically and mentally. I think that my older brother, Kyle, has inspired me the most. He is extremely successful in his personal and professional life (and is also a police officer). He has taught me the value in working hard for your accomplishments and that the only person who is going to make you better is yourself. 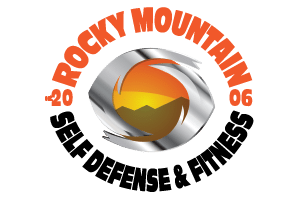 I knew 2 years ago that I wanted to be better and do better, so I made a lot of changes – like moving to Colorado from Boston, starting a new career, and joining RMSDF. He has always supported my decisions (even though we now live 2,000 miles away from each other) and I have always looked up to him for his strong will and determination to succeed.